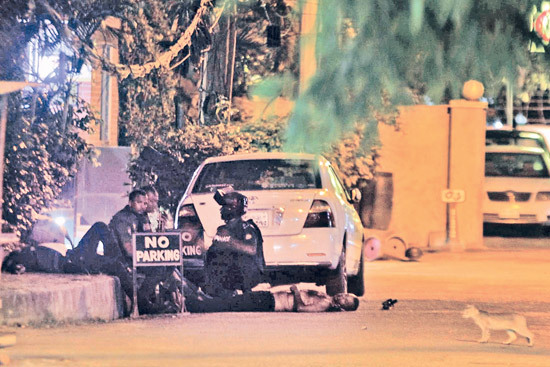 Bangladeshi police officers take cover as a man lies on the ground during an attack by unidentified gunmen. Twenty people, most said to be foreigners, have been killed in an attack on a cafe in Bangladesh claimed by so-called Islamic State. Gunmen stormed the Holey Artisan Bakery cafe in Dhaka late on Friday before troops entered almost 12 hours later.